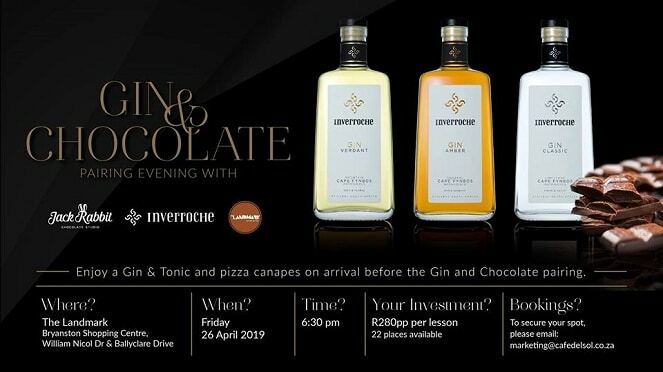 Cafè Del Sol SA invite you to a chocolate and gin pairing evening on Friday, 26 April 2019. Visit their venue in Bryanston for this tasty night out on the town. The Landmark, Cnr William Nicol & Ballyclare Drive, Bryanston Shopping Centre, Bryanston, Johannesburg. Cafè Del Sol welcome you to an evening of expertly crafted gin and decadent chocolate at their cocktail bar in Bryanston. The evening will start out with gin & tonic’s on tap and pizza canapes. 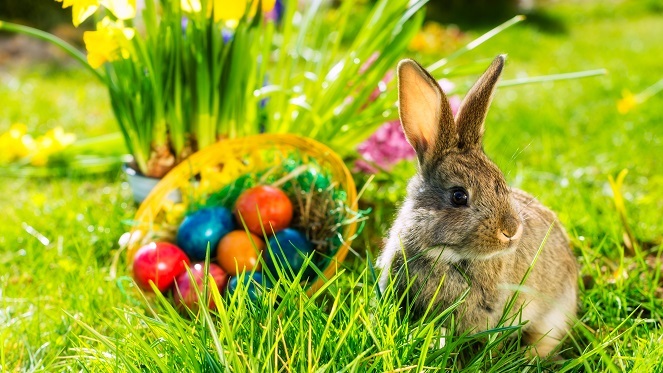 From here, you will be guided through a pairing of assorted Inverroche gin and Jack Rabbit chocolates. This match made in heaven is sure to delight all your senses. This master class in gin and chocolate palate harmony is reserved for only 22 exclusive patrons, so get booking as soon as possible to avoid disappointment. Friday, 26 April 2019 at 18:30 – 21:30. The Landmark Cocktail Bar, Bryanston Shopping Centre, William Nicol Drive & Ballyclare Drive, Bryanston, Johannesburg.